Captivate your audience all 365 days of the year with this customized calendar! The breathtaking imagery of this spiral-bound calendar intensifies the accompanying inspirational messages. 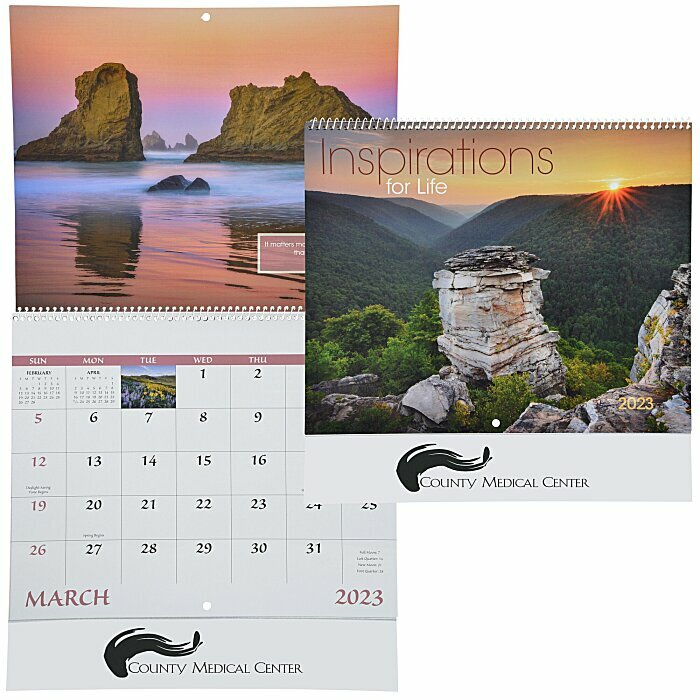 For staple-bound calendar, see item #111993-STInspirations for Life Calendar - Stapled; for the calendar with imprinted window, see item #111993-WDInspirations for Life Calendar - Window.